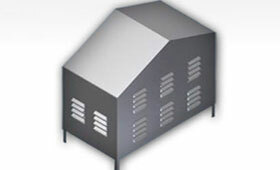 Our enormous range of products includes FRP / GRP canopy has become exceptionally prominent in the overseas market. 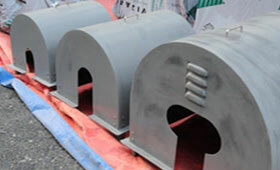 Made of sublime quality raw FRP materials, these products offer precision and ideal scope to different electrical installations. 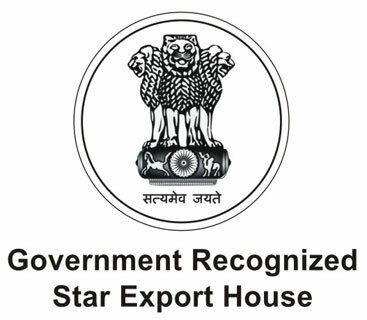 Owing to their high sturdiness & quality and sufficient safety against unfavourable climate conditions, our products have earned the commendation of our clients. 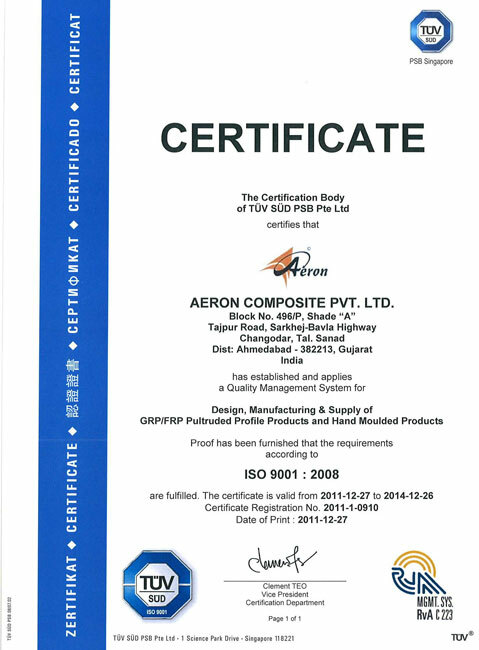 Aeron is a reliable manufacturer of FRP, GRP canopies, FRP instrumentation canopies, motor guard canopies, and PA system canopies in numerous specifications. 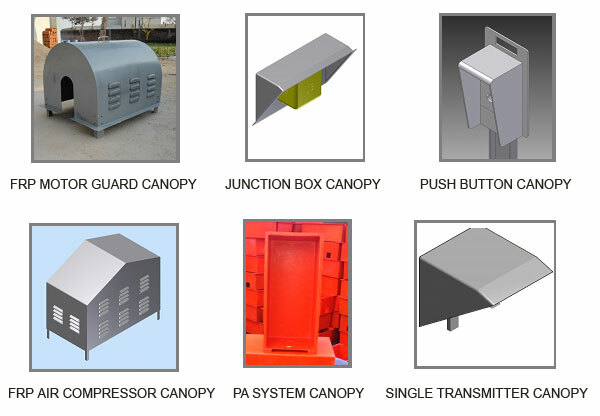 The range of canopy products is water resistant, durable, anti rust, easy to maintain, built in paint, and cost effective. 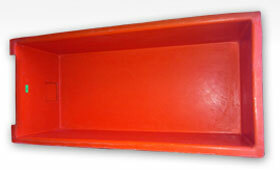 We are authentic suppliers and exporters of FRP GRP profiles. 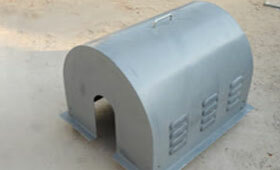 Every profile is manufactured with resin matrix and fibre reinforcement to get utilized by diverse industrial clients. 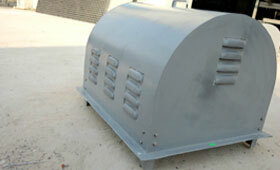 We configure canopies that guard your motors. 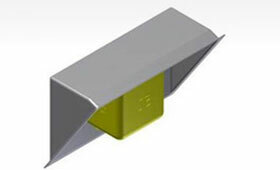 The span of the motor protection shell is focused around the physical measurements of the motor cover it is so that a uniform leeway of no less than 50mm is kept up on all sides concerning the motor body with the end goal of – proper circulation of air along with the louvers and for the ease of installation or lifting.